Barn Bag® Adult Maintenance is an equine supplement low in calories and starches that provides important vitamins, minerals, amino acids, and fatty acids. 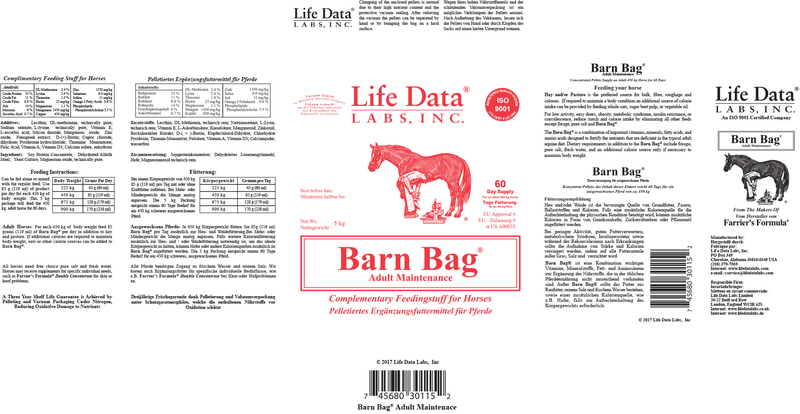 Barn Bag® is a concentrated nutrient source that complements hay and pasture to provide the horse with a balanced diet. When compounded feeds are used, nutrients are “force fed” into the horse at indiscriminant amounts in order to meet the calorie requirements to maintain weight. This leads to over-supplementation of nutrients for horses that have trouble maintaining or gaining weight, and to insufficient nutrient supplementation for horses that easily maintain or gain weight. A horse fed with Barn Bag® instead of compounded feeds will meet their nutrient requirement without adding unnecessary calories. Barn Bag® is ideal for horses that require a diet low in carbohydrates, such as overweight horses, easy doers, and horses affected by insulin resistance (IR), Cushing’s disease, metabolic syndrome (MS), obesity or laminitis. 85 grams of Barn Bag® is all you need to fulfill the daily nutrient requirement of an average 450-kilogram horse. 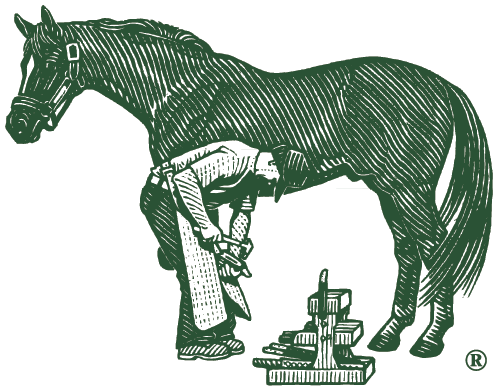 If your horse is a poor doer and needs to gain or maintain weight, or if additional calories are needed for demanding tasks such as riding or competitions, you may feed him Barn Bag® and whole oats, beet pulp, or vegetable oil. A 5 kg vacuum bag is a 60 day supply for a 450 kg adult horse.